The probe that landed on the surface of a comet has discovered organic molecules, the most rudimentary building blocks of life, according to the German agency involved in the mission. 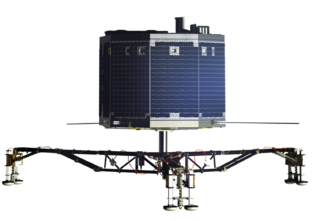 An instrument aboard the Philae lander detected the molecules after “sniffing” the comet’s atmosphere. An organic compound is one whose molecules contain the carbon atom, the basis of life on earth. Scientists are analyzing the data to see whether the organic compounds detected by Philae are simple ones—such as methane and methanol—or a more complex species such as amino acids, the building blocks for proteins. 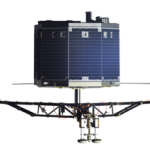 A drill on Philae also obtained some material from the comet’s hard surface, but data about organic molecules from that experiment have yet to be fully analyzed. Comets contain some of the most pristine materials in the solar system, dating to about 4.5 billion years ago. Previous studies have suggested that comets forge organic material in their dusty atmospheres. 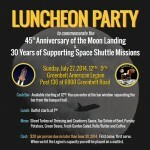 Join us at a luncheon celebration to commemorate the 45th Anniversary of Landing on the Moon (July 20, 1969) and 30 Years (1981-2011) of Supporting Space Shuttle missions. Cost: $20.00/per person not later than June 30, 2014. Please include e-mail address on check so we can acknowledge receipt back to you. First come, first served. When we hit the Legion’s capacity you will be placed on a wait list. Logistics: Please use the rear entrance of the Legion and sign-in upon arrival. Tables will be available to display your Apollo/Shuttle memorabilia. If you have a Apollo or Shuttle mission badge please wear it. 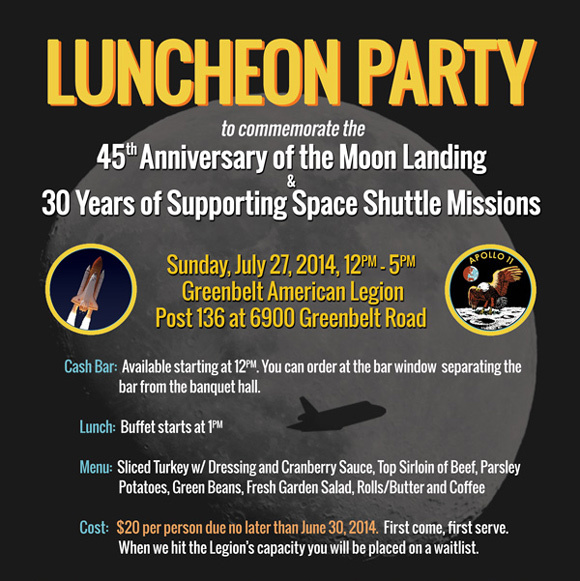 If you know anyone who supported Apollo and/or Shuttle, please let them know about the party. If you can’t attend, you may send your comments to us by completing the form below and we may have them read at the party. Please fill out the form below to reserve your tickets, and we’ll contact you back with the mailing address and contact information.